My normal route on this walk is to go via Coldberry Gutter to Middleton but this time we will use some paths that are not regularly walked. Basically there are three other routes which can be used. Two of these are on the north bank whilst the third is on the Pennine Way from Wynch Bridge. Bowlees Visitor Centre was established in 1976 by the Durham Wildlife Trust to enable the public to understand Teesdale and its way of life, with an emphasis on the special and rare plant life as well as the excellent bird life. A prominent feature is the waterfall of Gibson’s Cave with its underhang reminiscent of Hardraw Force near Hawes in Wensleydale. Since 1976 there have been changes to the area, as there generally is everywhere, and notable in this aspect was the designation of much of the area as an Area of Outstanding Natural Beauty (AONB) in 1988 called the North Pennines AONB. This year saw the 25th Anniversary of its creation and to celebrate this there were 25 special events organised. The designation gives enhanced protection to the area to ensure that the features which led to the original designation are maintained. 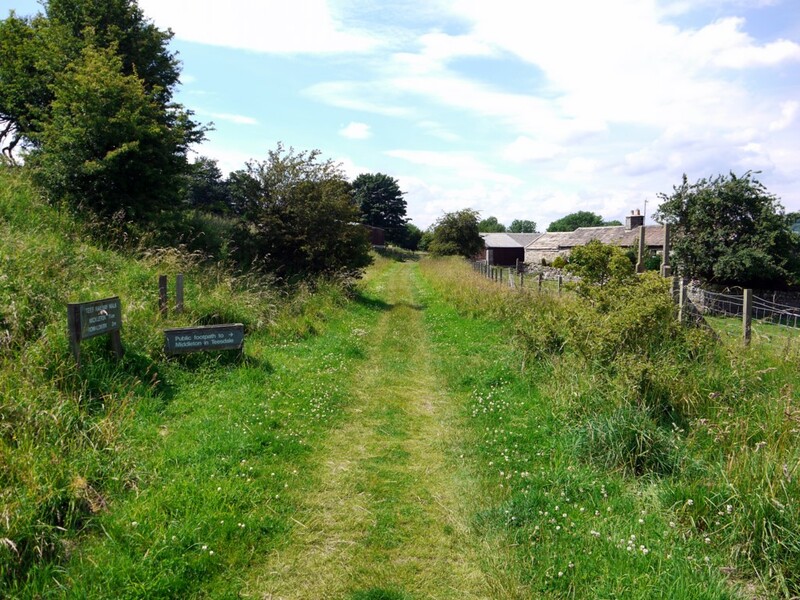 There has been a considerable amount of work carried out by the AONB staff in developing the understanding of the area which has given it a higher national profile. The diversity of the events clearly illustrates the wide scope of the activities. Ten of the events had a geological theme and this was to highlight the fact that the AONB was awarded the status of a European Geopark in 2003 when it became the 15th member under the auspices of UNESCO and in the near future will be called a UNESCO Global Geopark. The 25th Anniversary has also seen a complete refurbishment of the Bowlees Centre which will be now open every day from Easter to October. All of the work of the AONB can be read on their North Pennine News which can be obtained at the Dales Centre at Stanhope or on their website www.northpennines.org.uk/ or by telephoning tel 01388 528801. 1 – Proceed from Bowlees to Wynch Bridge, which is crossed to the other bank. The original suspension bridge on this site was built in 1704 and is thought to be the first suspension bridge in Europe. In 1802 a cable on this snapped killing one of the miners for whom it had been constructed and this bridge was replaced by the current one in 1830. The view upriver of Low Force is particularly attractive. 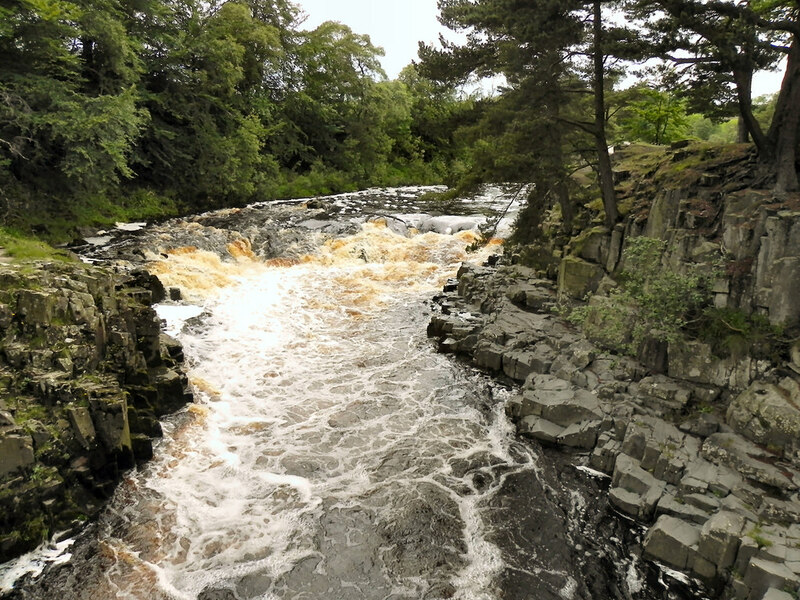 In my younger days this fall was known as Salmon Leap but the pollution in the Tees in the second half of the 20th century prevented salmon from ascending the river. The word Tees is derived from Viking times and means a surging river. The way downriver is very clear with the river on your left and meadows on your right. The Tees here separates Raby Estate with its white painted houses to the north from the Strathmore Estate to the south. 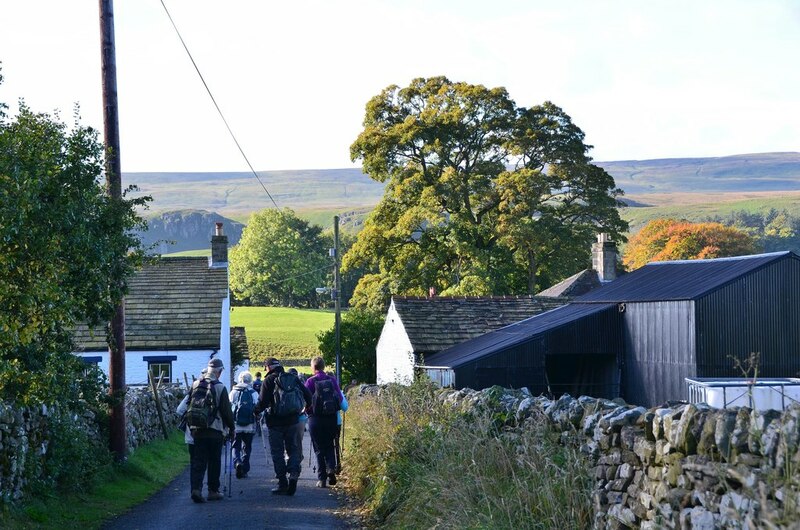 In his Pennine Way Companion book Wainwright waxed eloquently about this section of the Pennine Way when he said “There are highlights of incomparable scenic quality along the route and much else of absorbing interest. The journey may be broken at Langdon Beck, and should be, for not often does one travel in such charming and fascinating surrondings. Always tarry long in the presence of beauty, for so much in life is barren”. Few will disagree with him. 2 – Leave Bowlees via the center and cafe and turn left along the B6277 for a short distance. Before reaching the Bowlees entry road take the track on the right alongside a wood and pass a farm. Head through the next field and on reaching the footbridge over Bowlees Beck, head left down to the Tees where another footbridge crosses Bowlees Beck. Do not cross the first footbridge over the beck as it goes to Newbiggin or if you want to see the chapel at Newbiggin leave Bowlees by the footpath to Hood Gill to the east where the road to Newbiggin is joined. 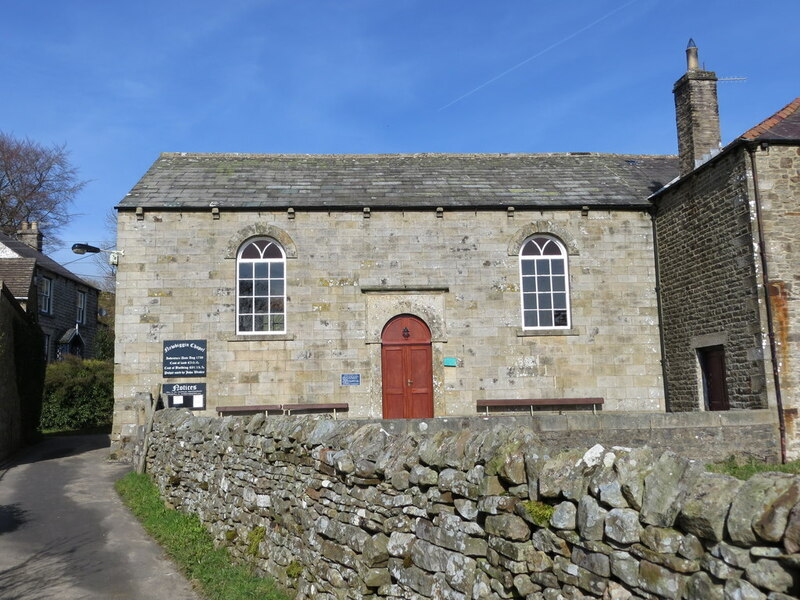 The Wesleyan Chapel here is of interest as it is the oldest Wesleyan Chapel in the world in continuous use having been built in 1759. It houses a pulpit from which John Wesley preached. From Newbiggin a footpath leads down to the Tees and the north bank followed for about two miles to a bend at GR 927265 where the main road is reached. Cross the road and head east for about 100 yards and then follow the footpath uphill to Stonygill Head. The path heads diagonally across the first two fields to a stile in the corner and then passes to the right of a upgraded house to a track, before reaching the road which is followed downhill to Middleton. The fine building on the left at the entrance to Middleton was formerly the offices of the London Lead Company and was built in 1823. This was a Quaker company who placed a high priority on the welfare of their workers. 3 – Leave Bowlees as Route 2 to Newbiggin and proceed east through the village to a tight bend in the road where a footpath will be found just around the bend. This heads broadly east through a wood and crosses a beck where there is a fine waterfall. TAKE GREAT CARE HERE AS THE TRACK HAS A CONSIDERABLE DROP TO THE BED OF THE BECK AND PARTICULARLY IN WET WEATHER TENDS TO BE SLIPPY! The route is now past Bell House to Stonygill Head where the minor road is met and Route 2 joined. It is also possible to do a loop around Middleton via Lonton and the Tees Walkway to Mickleton where we can head north east to cross the Tees where a route will be taken to Spotley Hall and Stanhope Gate back to Middleton. To do this cross the border bridge over the Tees and immediately descend some steps down to the access road for Step Ends farm. Just past the farm go diagonally across the field in a south-west direction to Lonton. Cross the B6277 and head over the road to climb a concrete stile and reach the old railway line. Here turn left and pass through pleasant country. In May the blossom on the hawthorns along this track is particularly good. After passing the Mickleton picnic site continue to where it climbs to a small road to Hury Reservoir and turn left towards Mickleton. After about 100 yards, where the road turns left, continue straight ahead on the waymarked route. When you get to the back of a farmhouse turn right (east) passing a hen house and after passing through two more fields watch for the stile on the left onto the road. Turn left towards Mickleton and take the road on the right which soon turns left to parallel the B6277. A short distance further look out for the good signpost to Beckstones Wath footbridge. The path soon leaves this track on the right (again a good sign) to reach Beckstones Bridge clearly visible across the field. This bridge was opened in 2002 by George Pendlebury who was Chairman of the AONB and was a champion of this area. Head left on reaching the far bank and head upriver where you soon meet the Teesdale Way. Continue upriver to Sun Bank where the bridleway zig-zags up to the B6282 at Stotley Hall, a fine Jacobean building with mullioned windows. Note that there has been a deviation here and the path now comes out opposite the hall. Turn to Middleton and watch out for traffic. There is a good verge all the way west. Just before reaching Lane Side note the old milepost which says Middleton 1 mile and The Edge 8 miles. Turn right to Stanhope Gate and behind the farm go through a white gate which follows a wall west to the Stanhope road. Take the footpath behind the houses which leads down through the graveyard to the church of St Mary built in 1886 from where it is a short distance onto Middleton main street. Whichever way you do this walk you will pass through Middleton in Teesdale which is an attractive town and particular attention should be paid to the memorial fountain in the town centre. This was erected to mark the retirement of Robert Bainbridge from the London Lead Company. He was evidentally well respected as so much was subscribed that there were sufficient funds to erect a second fountain at Nenthead! This entry was posted on Monday, April 15th, 2019 at 2:31 am	and is filed under Other.